University of Texas Press, 9781477310335, 240pp. Garry Winogrand--along with Diane Arbus and Lee Friedlander--was one of the most important photographers of the 1960s and 1970s, as well as one of the world's foremost street photographers. Award-winning writer Geoff Dyer has admired Winogrand's work for many years. 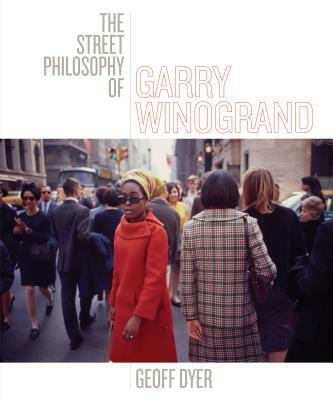 Modeled on John Szarkowski's classic book Atget, The Street Philosophy of Garry Winogrand is a masterfully curated selection of one hundred photographs from the Winogrand archive at the Center for Creative Photography, with each image accompanied by an original essay. Dyer takes the viewer/reader on a wildly original journey through both iconic and unseen images from the archive, including eighteen previously unpublished color photographs. The book encompasses most of Winogrand's themes and subjects and remains broadly faithful to the chronological and geographical facts of his life, but Dyer's responses to the photographs are unorthodox, eye-opening, and often hilarious. This inimitable combination of photographer and writer, images and text, itself offers what Dyer claims for Winogrand's photography--an education in seeing.